If a picture is worth 1,000 words, then a screenshot is worth at least 1,000 back and forth emails, right? Let's dive into why you aren't able to take a screenshot on your Mac. Example of a Mac screenshot. Let's make sure we're all on the same page by following steps that are known to work. If they don't work, we'lll take a look at what might be stopping the function from working. Remember, this feature is built into macOS, so you don't need any additional software and it should "just work" (to use a bit of Apple's old advertising slogan). There are different ways to get this to work, so we'll try a few to help you figure out where it's failing. On your keyboard, press these keys together: Command + Shift + 3. If your sound is on, you should hear a shutter sound (like an old-fashioned camera) and the file should appear on your desktop. The file will have the name along the lines of "Screenshot (and the date and time)." Inside the Preview app, go to the File menu and find the Take Screenshot menu item and select any one of the three. Use the new app included with macOS Mojave (and later), called Screenshot. Once you open that app, you'll have options to make screenshots (and video recordings) just like you could if you used the keyboard commands listed above. Why Is Taking a Screenshot on Your Mac Not Working? It's rare that this feature doesn't work, so a few steps should reveal why this isn't working. It could be a software conflict or, rarely, a hardware issue. Let's see if we can pinpoint the problem. This is perhaps obvious, but before you spend too much investigating the issue, is your keyboard connected to your Mac and, if it's a wireless keyboard, does it have power? Check your keyboard shortcuts. As mentioned above, you can take screenshots on your Mac by pressing Command + Shift + 3 to trigger a screenshot. However, if you have this keyboard shortcut switched off (for whatever reason) or set to keyboard combinations other than the defaults, then obviously you won't achieve much by pressing either Command + Shift + 3. So here's what you need to do in case you've switched off the above shortcuts. On the left, click Screenshots and check the settings that appear on the right. If the shortcuts are turned off, just click the slider to turn them back on. At the bottom of the window you'll see a Restore Defaults button that you can click to have the system start over with keyboard shortcuts. 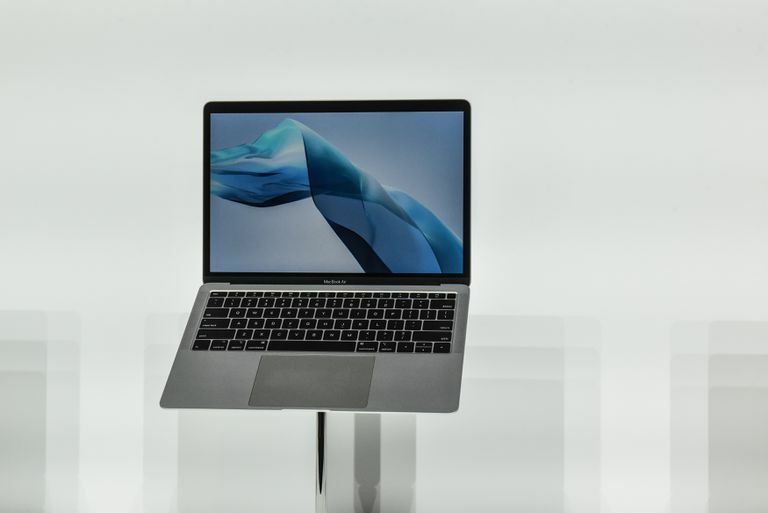 It's sometimes possible that going for long periods without shutting down your Mac can cause it to run inefficiently, or can cause certain apps to work improperly. So if the screenshot on your Mac isn't working, it might be worth shutting it down and switching it on again. To do this, you simply click the Apple icon in the top-left corner of the screen, and then click Restart… (or Shut Down…, which entails pressing the Power button again after the Mac has shut down). Try resetting your NVRAM. Similar to a simple restart, resetting your nonvolatile random-access memory (NVRAM) can sometimes resolve issues with basic Mac apps and functionality, since this memory is responsible for controlling many of the internal settings of your computer. To reset NVRAM, you have to shut down your Mac (as described above). Next, you have to turn it on and immediately press and hold the following combination: Option + Command + P + R.
Apple advises that you hold these keys down for about 20 seconds, but if you're using a Mac that produces a startup sound, you can release them after the second sound. And if your Mac has an Apple T2 security chip (so Mac Mini, Mac Air and Mac Pro models introduced in 2018), you can release them after the Apple logo appears and disappears for the second time. If you have Dropbox on your Mac, it might be the case that you've set it so that screenshots are saved to your Dropbox rather than to your Mac's Desktop. Of course, before you venture any further, you can the settings enabled (see below) and simply remember that you need to go to Dropbox to see your saved screenshots. Click the Dropbox icon (on the right-hand side of the top menu bar on your Mac). Launch Dropbox first if it hasn't already been launched. Click the Settings cogwheel in the top-right corner of the dropdown menu. Uncheck the Share screenshots using Dropbox checkbox.